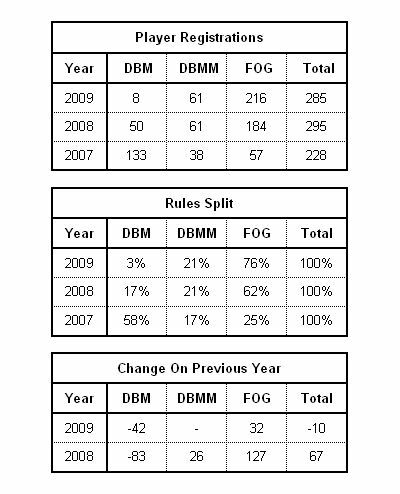 Before commenting I’d like to point out that the figures for 2008 differ slightly from those published last year as I double checked all the data. The figures cover both 15 & 25 mm competitions and are all from singles competitions. The final round of the Northern Doubles League is ten days away so I will hold off commenting on the situation in “the North” until everything is over. It’ll be interesting to see how they compare with the “national” picture. 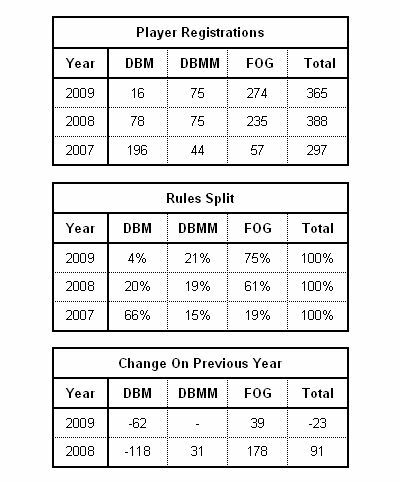 The only change is that DBMM’s share now looks less in 2008 giving a small increase in 2009 but I don’t think this is significant.